The J.M. 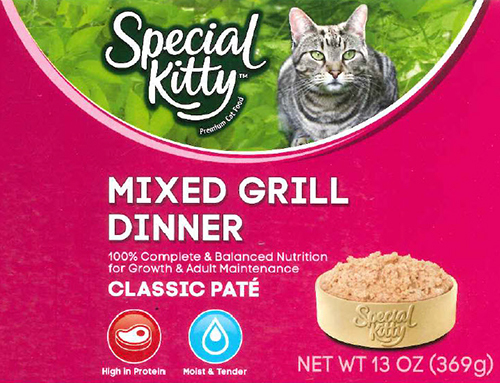 Smucker Company announced a limited voluntary recall on certain lots of 9LivesTM, EverPetTM, and Special KittyTM canned cat food due to possible low levels of thiamine (Vitamin B1). Consumers who have cans of cat food from the impacted lots should stop feeding it to their cats and dial phone number 1-800-828-9980 Monday through Friday 9:00 AM - 6:00 PM EST or contact the company at consumer.relations@jmsmucker.com.